Before entering the drone industry, I wrote for large brands including Pearson Education and BitTorrent plus interviewed artists including The Handsome Family and Junip's charismatic frontman José González for the Examiner (now defunct). I've contributed words for both the online and print versions of Drone360 Magazine (which recently folded back into Discover). Presently, I regularly contribute to Digital Photography Review and DroneLife. 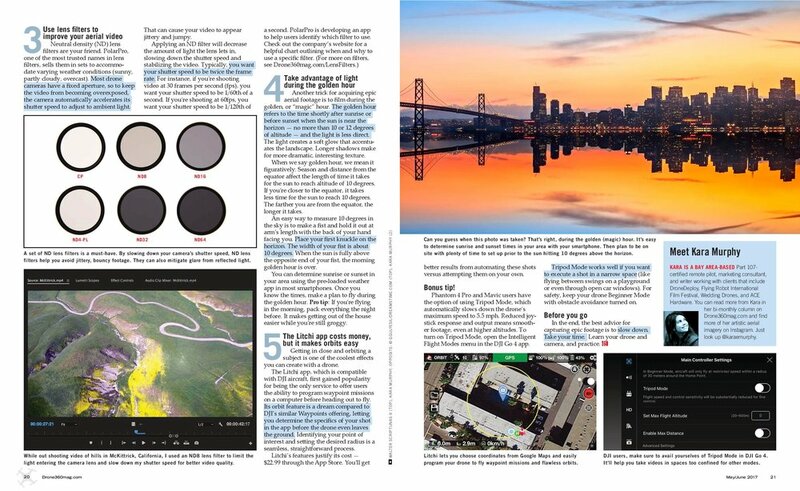 This article appeared in the June/July issue of Drone360 Magazine.